Four gloves for the price of two! An awesome pair of gloves! 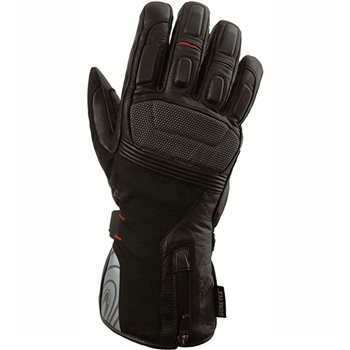 These gloves have two chambers, one waterproof chamber that uses the infamous Gore-Tex technology and one super warm chamber using Tri-fleece lining. They're constructed of a Superfabric: Superfabric takes a fabric and overlays it with tiny armour plates. It allows flexibility, stain resistance, quick drying, weight reduction and most importantly, abrasion resistance.